Jennifer Schwartz is today’s guest blogger. She reflects back on what touched each member of her family of 5 at WMFC, 2018. In April 2016 we went from a “normal” family to a “special needs family” when our son’s doctor said Duchenne Muscular Dystrophy. He was 3 1/3-years-oldwhen he was diagnosed with this random genetic mutation, which doesn’t allow his muscles to repair themselves. Over time he will continue to lose muscular function. 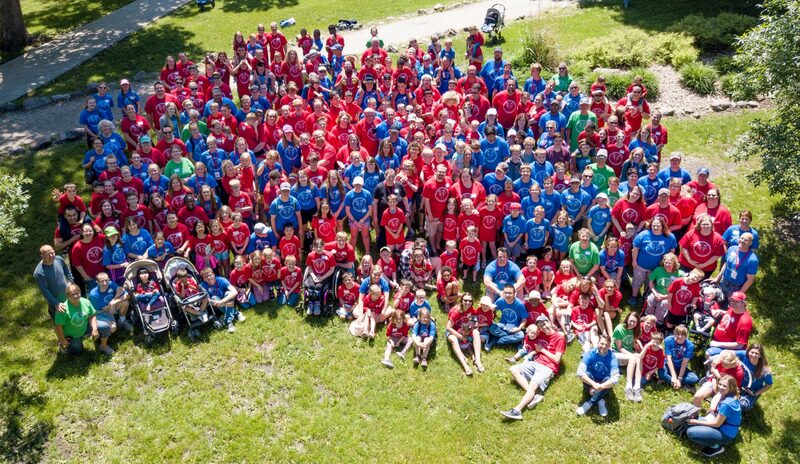 The year after our son’s diagnosis we found out about Wonderfully Made Family Camp (WMFC). We didn’t know what to expect when we prepared for a few days at Hidden Acres. To our surprise and enjoyment, we found a weekend tailor made for families facing any kind of special needs or disability challenge. We knew our son would benefit, but we didn’t realize how much this was a positive experience for the whole family. The planning members thought of everything. We had a buddy assigned to our son who was prepared to handle his medical needs and listen to every instruction we shared, no matter how big or small. Sometime we forget how much of their childhood siblings give up sitting at doctors appointments, being caretaker. Both siblings (younger and older) had special times where they got to try new things Our older daughter’s favorite is the climbing wall and zip line. Our younger son loved the nursery team. And we all loved pool time. Parents got special attention too. There was a pampering spa. My personal favorite was going on a trail ride with a friend who I have bonded with because of camp. My husband was free to take a long run with another camp volunteer. These are all things we don’t get to do often given our regular responsibility and caregiving hours. Camp gave us time to meet other families without the need to explain our situation. They get it right away. We have continued these relationships and the families have become part of our regular support network. The faith focus of camp made it all the more special. We had deeper conversations than can usually be bad. There were prayers for families and the struggles they face, and we worshipped as a group. Reflection time as a family and individually was also nice. This camp and all the volunteers who carved out time to make it unique and uplifting for the families that attend… are truly unique and a pure representation of servant leadership. WMFC has been such a blessing to our family. We enjoyed the relaxing weekend at a great facility and the opportunity to connect with other families in the special needs space with God at the center of discussions. 2019 WMFC Registration Now Open for Volunteers! 2019 Camp Registration for Families Is Now Open!